Of all of the foods I have eaten in the past year and of all the cities we visited in South America, one place stands alone as the shining star. 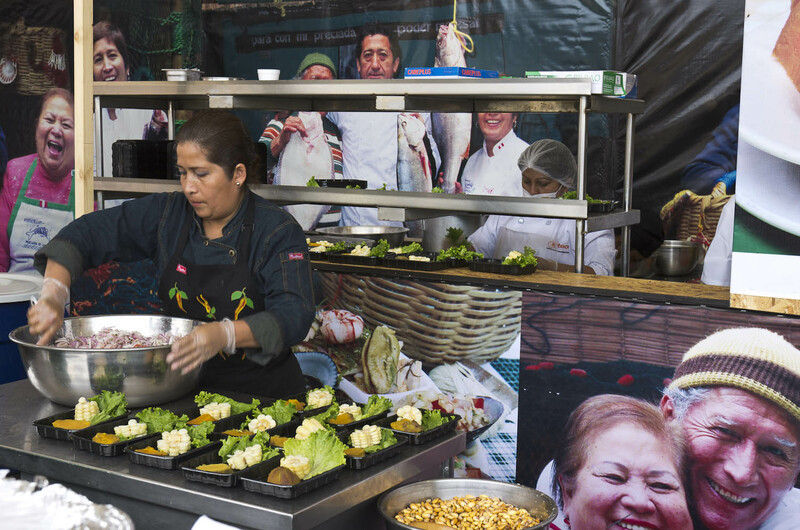 Lima, Peru is without a doubt the culinary capital of this continent. It is putting not only Peru but Latin America on the map and is poised to become the next big thing in the international gastronomic world. There is a new army of chefs in the making committed to bringing the foods from Peru to the rest of the world. And the world, in return, should be very grateful. Becoming a chef in this country is one of the fastest growing careers. 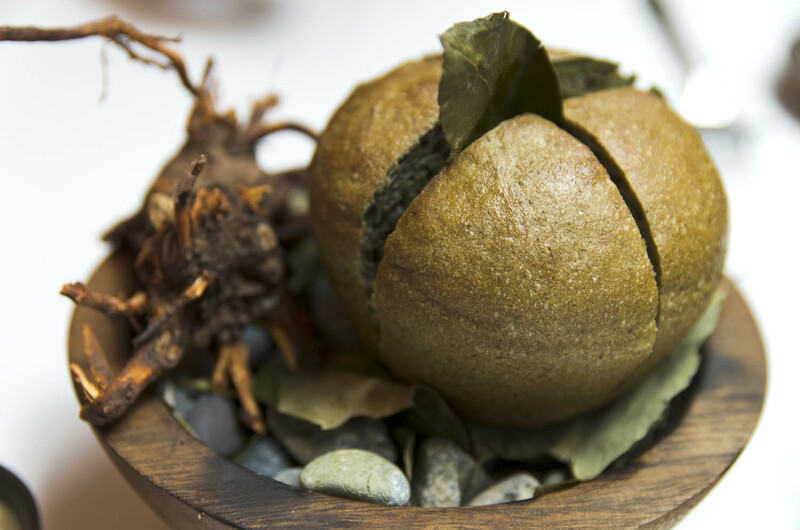 And this food movement is not just limited to the high-end restaurants found in Lima. 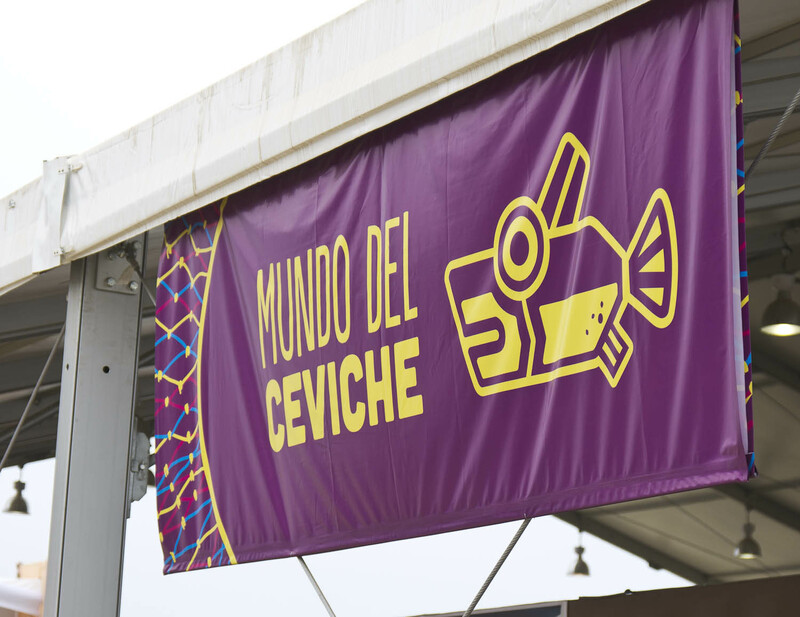 There are literally thousands of small cevicherias in this city selling affordable portions to the masses. 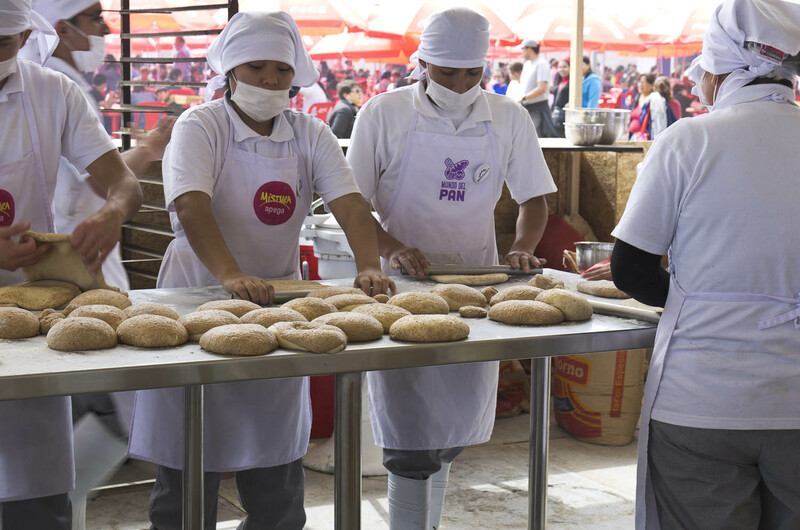 From the small markets to the fancy restaurants you will find crowds of Peruvians, poor and rich, wanting a taste of their wares. 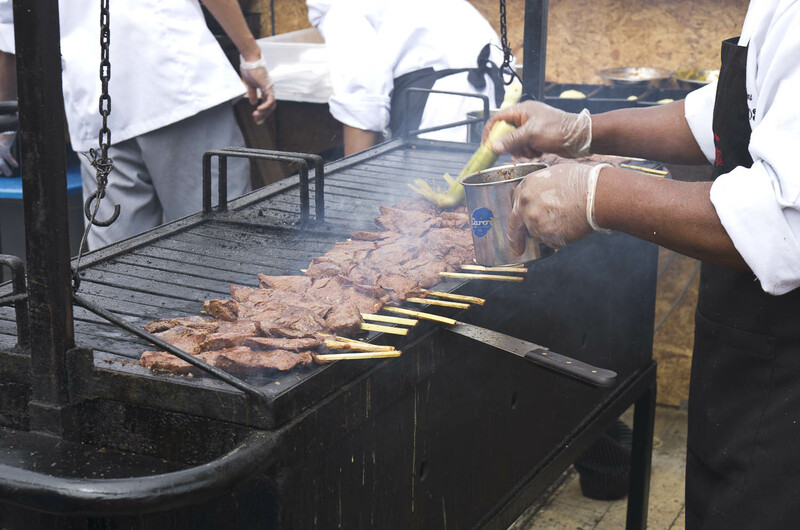 The passion for the food in Peru is found from the ladies grilling anticuchos (skewered, marinated beef hearts) on street corners to the top chefs of the world (Lima has not just one but two restaurants in the top 50 restaurants of the world). 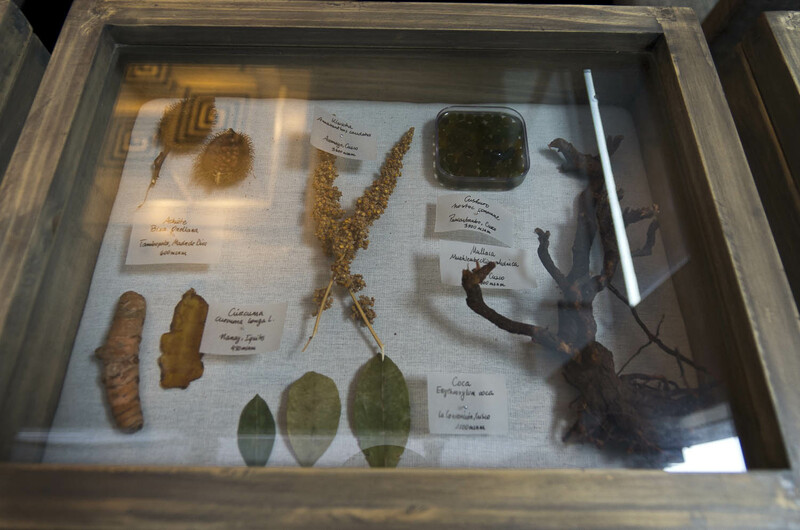 The wealth of ingredients found in Peru is staggering. From almost 4000 (!!) types of potatoes (it’s said that Peru is the birthplace to the tuber) to over a dozen different quinoas, ingredients take shape from the diverse landscape here. Beginning with the rugged Pacific coastline offering up some of the freshest seafood I’ve ever eaten to the high mountain altiplano to the Amazon jungle with it’s exotic ingredient fruit list, Peru has it all. 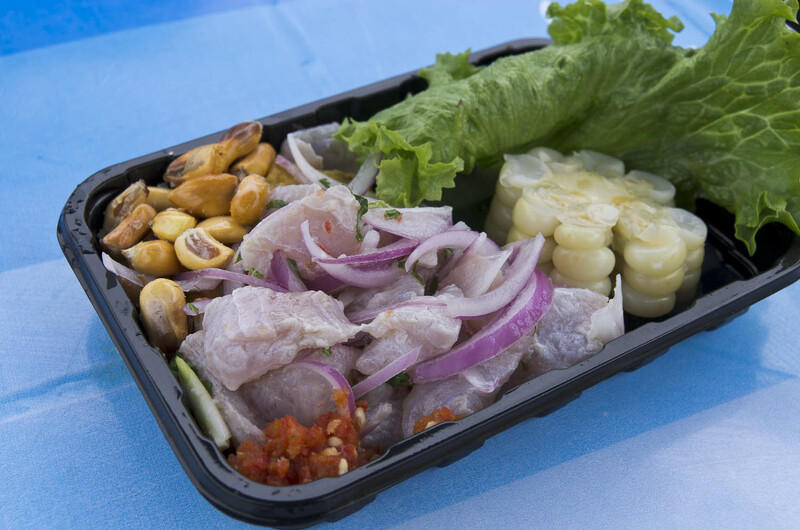 There is also a variety of influences found in the Peruvian palate, making it a fusion cuisine. 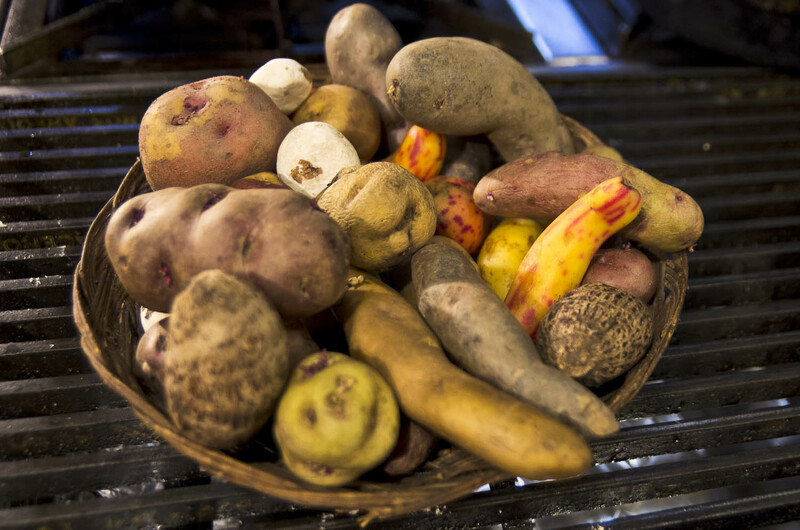 Chinese, Japanese, Italian, Spanish & African cultures combined with the original local cuisine by the native people has shaped modern Peruvian food. The amount of fine dining restaurants cropping up is ridiculous! My list of places to try while in Lima weren’t as long as my days there. I struggled to juggle different meals into different days. There simply wasn’t enough time (or stomach space) to try all of them! I stressed myself out a bit trying to figure out when we could try all the different foods/restaurants. The only solution I had was that we would have to return to Lima. 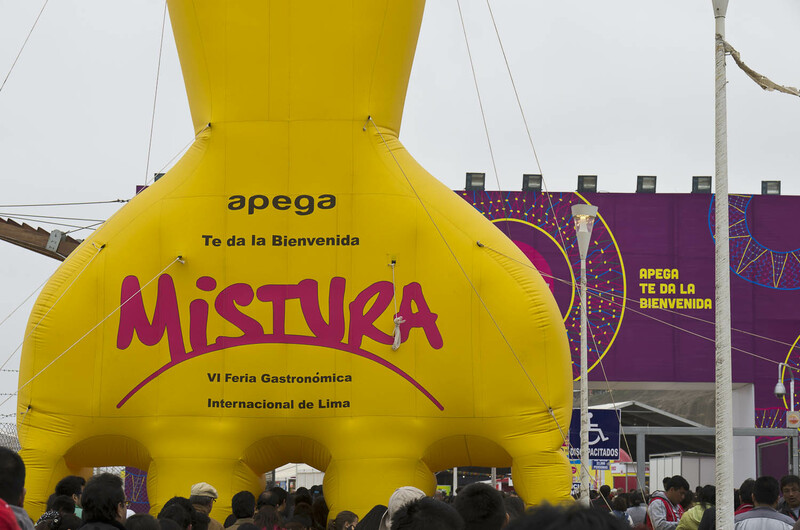 Our food odyssey started with the giant food festival, Mistura. 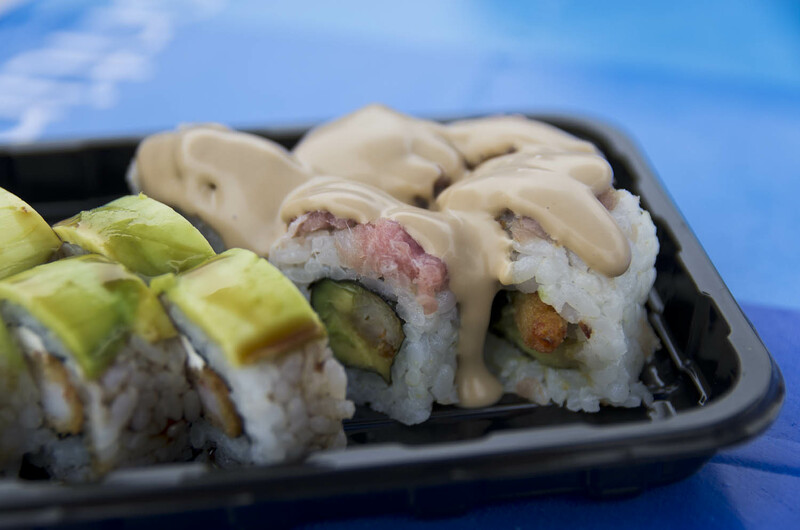 Spanning ten days with half a million people in attendance this festival has garnered international attention with top chefs attending from all over the world. 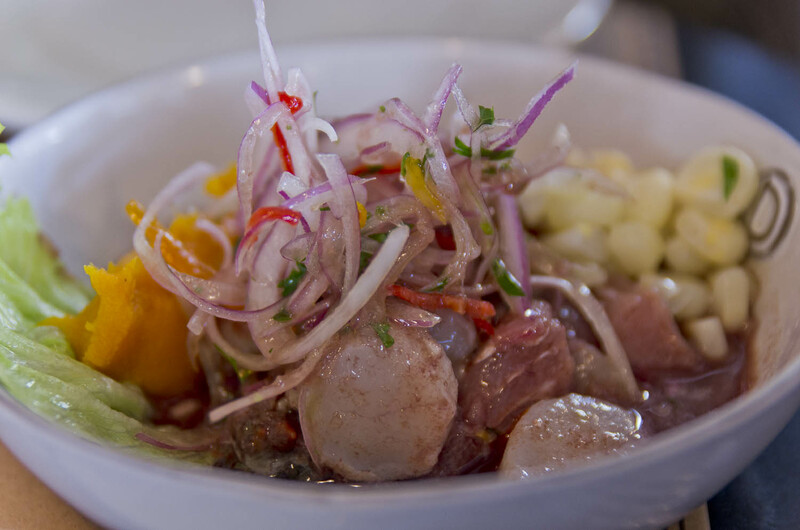 You mention Mistura in Lima and you will undoubtedly get yourself into an in-depth conversation about Peruvian food. Everyone has an opinion, from the taxi driver to the five star chef. You could feel the excitement. We loved Mistura, so much that we attended two days to be sure to sample everything we wanted. 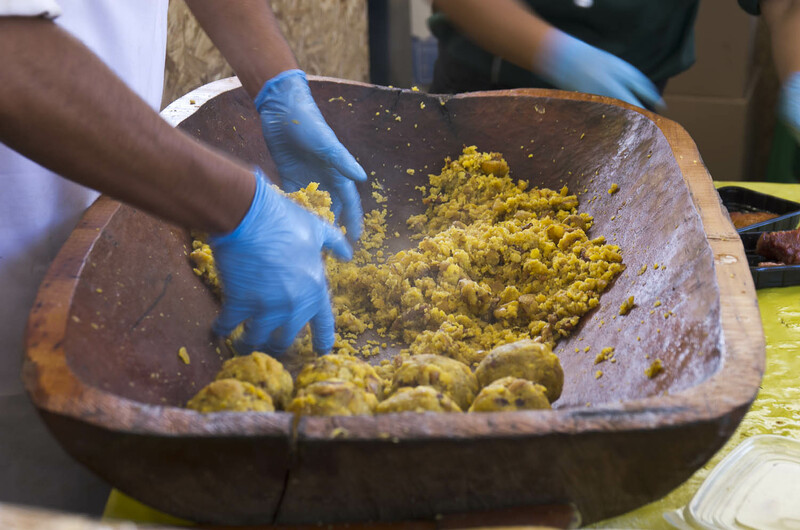 The quality of the food was high for a festival of this sort (cooking outside is usually never as good as kitchens inside) and the festival was highly organized into different mundos (worlds). You had the world of ceviche, andean, amazonian, cacao, quinoa, anticuchos, brasas (food cooked over open fires) the list went on and on. Impressively, they had a world of bread with ovens outside. Baking, fresh, good quality bread outdoors! Unbelievable! Mistura just got us warmed up for what was to come. We moved onto Lima’s bustling restaurant scene. At the top of my list was restaurant ‘Central’. 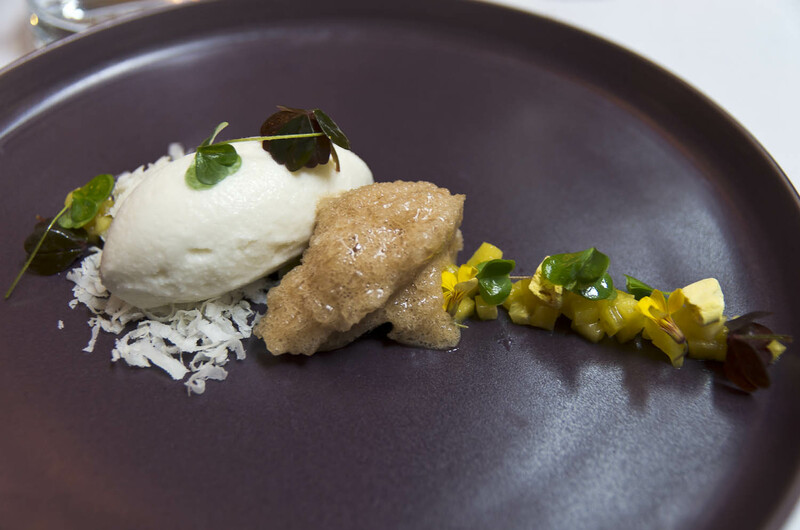 Voted one of the 50 best in the WORLD (a huge honor for those not in the know) chef Virgilio Martinez is one of many helping to propel Peruvian gastronomy to new heights. Martinez makes use of the bounty of ingredients that Peru has on offer. His initiative called Mater has him foraging all over Peru from the jungles of the Amazon rainforest to the high Andean altiplano. I love what chef Martinez is doing at his restaurant. 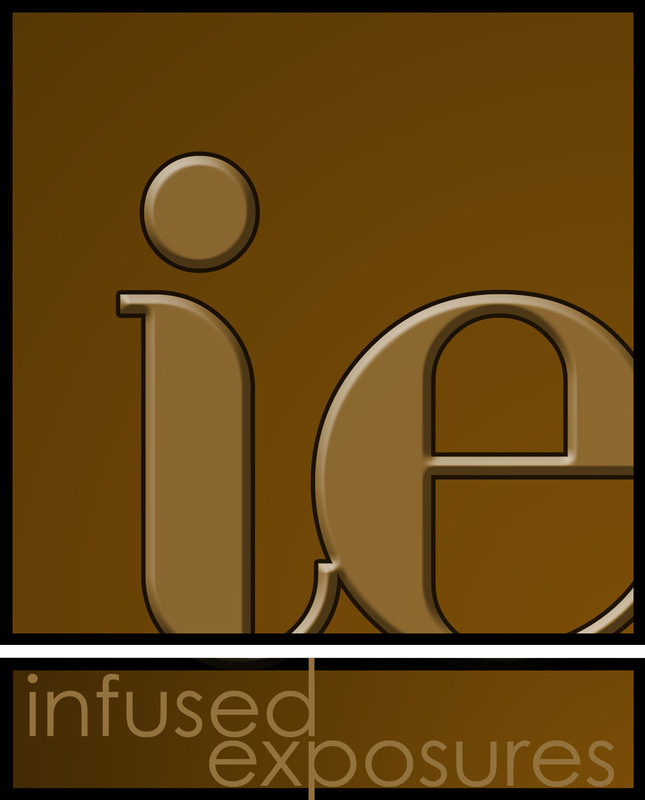 I think the idea is not only creative and elevates the food to art form but it’s also delicious. 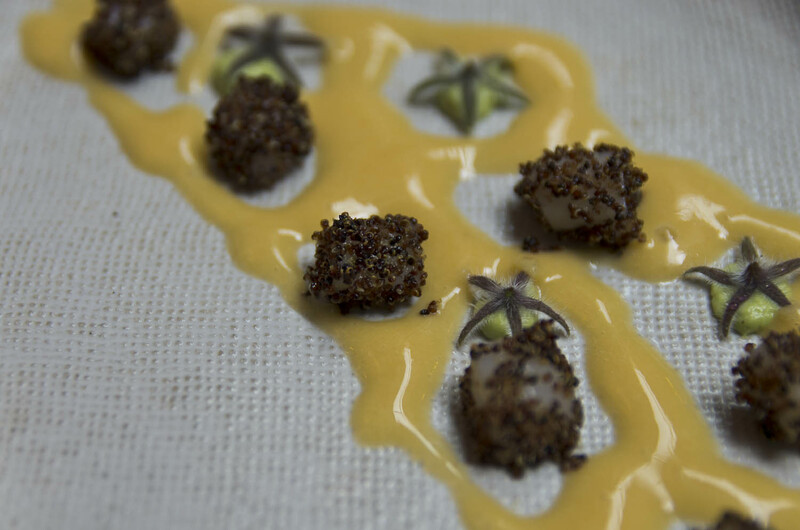 The flavors and textures are perfectly paired and executed in all of his dishes we sampled. 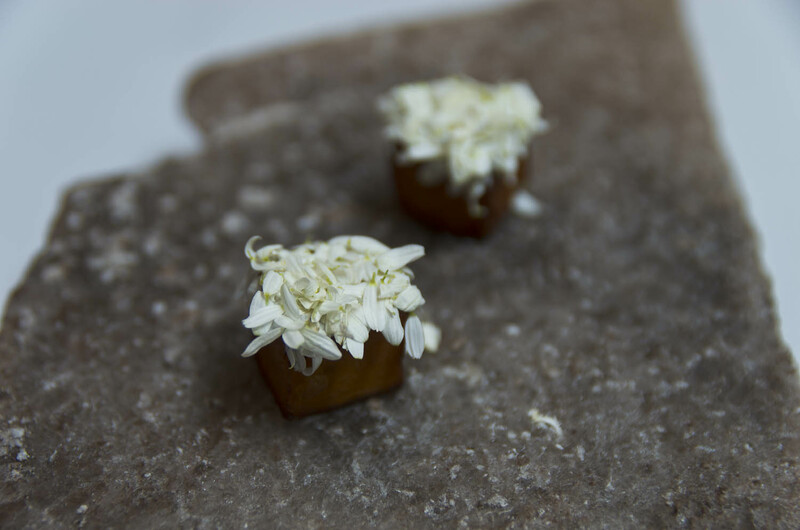 Often times when you have food at this artful level, the flavors become secondary. Not true for this chef. Absolutely flawless. A true genius. 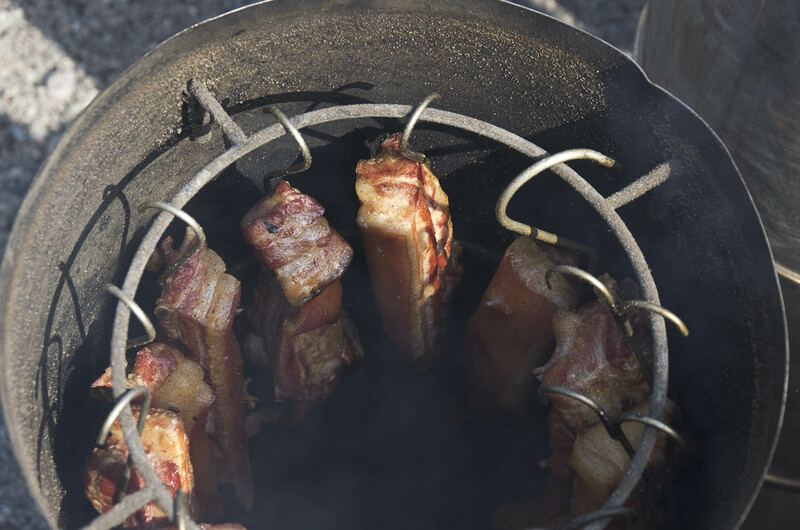 The result is a menu bringing tastes ranging from the depths of the ocean to the heights of the mountains. Virgilio and his team go out nearly every weekend to discover new herbs, plants or trees. 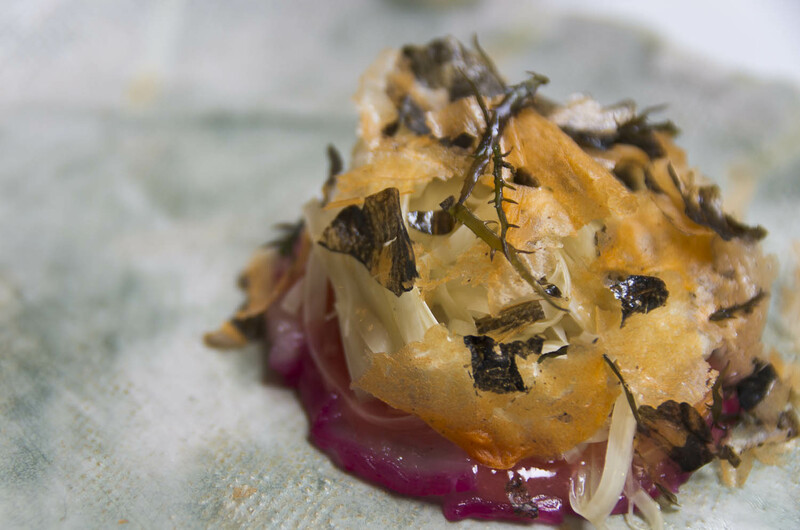 He transforms these raw ingredients to artful, creative and delicious food. We splashed out on the tasting menu which was worth every single Nuevo Sole (the Peruvian currency). It was so good, I would put it in the top 3 meals of my life! And the best part? I got to meet chef Martinez and talk with him, thanks to a friend I have in Lima that has another friend that knows some very important people in the industry. I have never been star-struck in my life and often think celebrity watching is over-rated but I was giddy with excitement and absolutely gushing when talking with him. It helps that he is easy on the eyes! Chef Martinez couldn’t have been more humble and generous. My face nearly hit the floor when we received the bill and discovered that he purchased one of our tasting menus!!! I literally pinched myself to make sure I wasn’t dreaming! 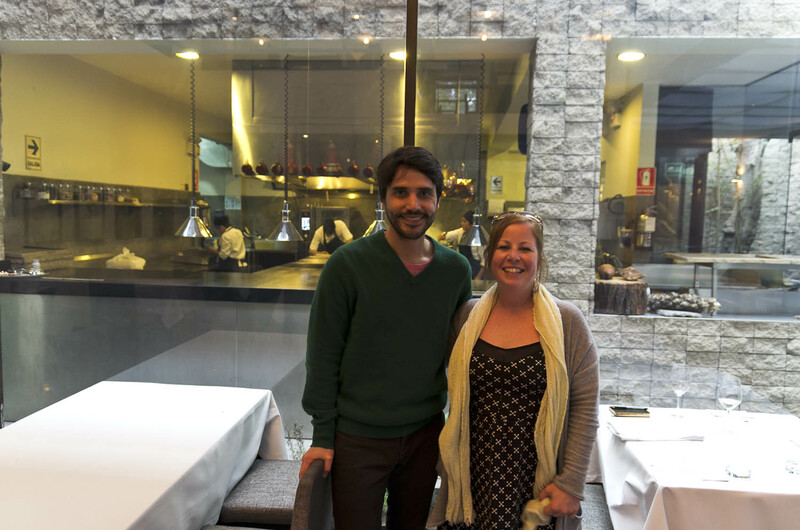 meeting chef Virgilio Martinez in front of his open kitchen at restaurant ‘Central’-I literally had butterflies! Stay tuned for the continuation of our food odyssey in Lima where I will be introducing some of the different types of foods we sampled in this bountiful country. 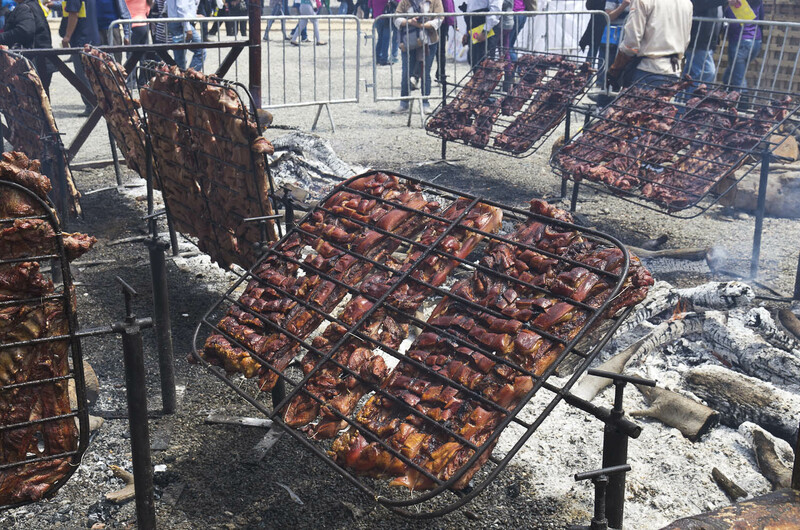 ← Cochabamba, the gastronomic capital of Bolivia? Dan just slashed his wrists after reading your gormet post as it’s pasta AGAIN for us tonight! What an amazing array of food you tried whilst in Lima. 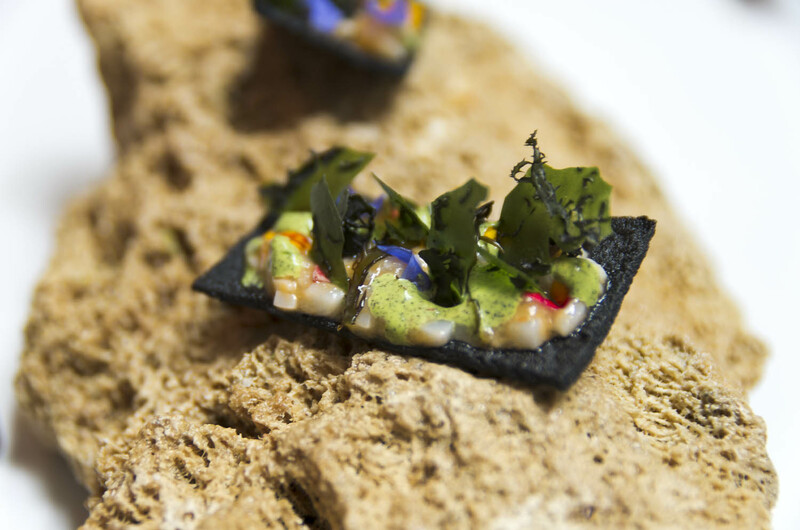 The only problem with Virgilio Martinez’s food though is that it’s almost too beautiful to eat! He’s a bit tasty too! Mmm! I thought the food was too beautiful when it came out too but then naturally my stomach got the better of me! Easy on the eyes for sure Kate!! Laurent was tired of me saying that. And don’t feel too bad, we ate pasta last night too! But then again, we are in Bolivia! C’est tres apétissant tout ça, cela donne vraiment de partir pour y gouter!! Reading that just before dinner in France is not a real good idea .. In fact my menu of tonight has nothing to do with what I have seen on (once more) beautiful Laurent’s pictures !!!! I would love to exchange my “pumpkin soup” and my green salad with seeds with what I see in this post .. It is a pitty that pictures can’t come to reality !!! !